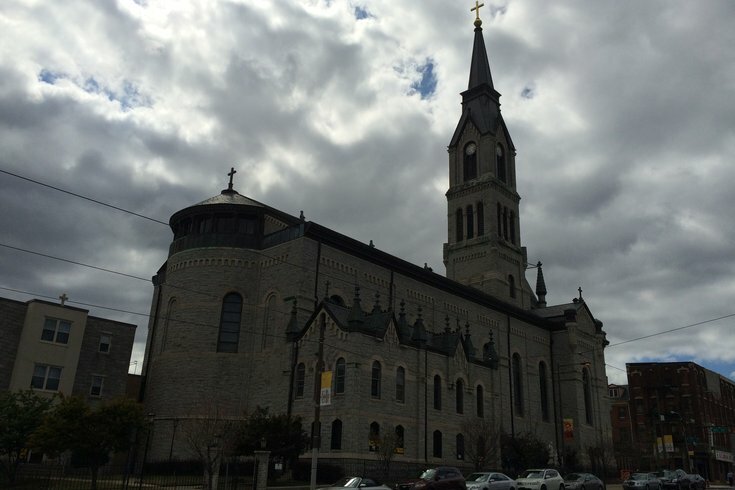 Saint Peter Church, located at 5th Street and Girard Avenue, in Philadelphia. The Archdiocese of Philadelphia will celebrate its annual Mass honoring people with disabilities during the World Meeting of Families. The Mass will be held Thursday, Sept. 24, at 7 p.m. at Saint Peter Church, which houses the Shrine of Saint John Neumann. The Archdiocese welcomes anyone, but particularly those with disabilities, to the service. Bishop Kevin Rhoades, of the Diocese of Fort Wayne-South Bend and an alumnus of Saint Charles Borromeo Seminary, will be the principal celebrant. He has served as Episcopal moderator for the National Catholic Office for the Deaf. Father Mike Depcik, who is deaf, will serve as the homilist. Depcik works as the director of deaf ministry for the Archdiocese of Detroit. The Nevilaires Choir, comprised of individuals who are blind and partially sighted, will perform the prelude. The Presentation B.V.M. Parish and Saint Joseph Parish choirs, both from Cheltenham, Montgomery County, will perform the liturgical music. The Deaf Apostolate Papal American Sign Language Choir will sign "Sound the Bell of Holy Freedom," the official hymn of the World Meeting of Families. The Mass is hosted by the Office for Persons with Disabilities and the Deaf Apostolate. During the World Meeting of Families, held Sept. 22-25, sign-language interpreters will interpret keynotes, liturgies and breakout sessions. They also will interpret programming occurring on stages at Independence Hall and the Benjamin Franklin Parkway, broadcast on select Jumbotrons. For individuals with sight impairments, assistive listening devices will be provided at the Festival of Families and the Papal Mass. A reserved area in Von Colln Memorial Field, at 23rd Street and Pennsylvania Avenue, will provide audio description. People with sight impairments should RSVP to sr.kschipani@archphila.org if they plan to attend the Parkway events. All facilities will be physically accessible to wheelchair users. Children with disabilities can participate in the Youth Congress at the Pennsylvania Convention Center. Personal care attendants can attend the conference free of charge.